Still can't figure it out? Well, I will point it out to you at the end of this movie review. Don't worry, spoiler tags will be in place for those of you who have not watched this film. "OUCH! Got a papercut from tearing those stupid parking coupons earlier." Synopsis: Helios is a global criminal that has never been caught. (Strange though, because Helios is actually the personification of the Sun in Greek mythology. Just wait for him to rise in the east everyday can already what. Dumb police.) In any case, this time, Helios manages to steal a weapon of mass destruction from South Korea and intends to make the trade in Hong Kong. Cue Siwon and Ji Jin-hee to fly to HK. Cue epic firefights and explosions between the police and the criminals. But most importantly, cue the conspiracies and diplomatic complications between China and South Korea, and you have 2 major plot points inter-weaved into this 119 minutes of crime and intense eye-popping action. BOOM! Review: This might be biased, but I am sure that the eye candies in this show for both the ladies and the guys are worth +1evilbean on their own. For the ladies, no doubt, the masculine Mr Simple Choi Siwon, who believes in the values of loyalty and serving the country with pride and honour. 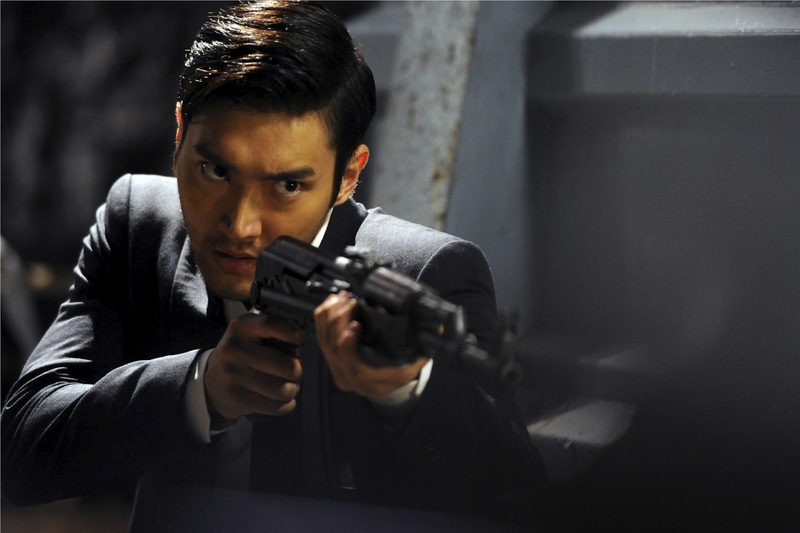 With an impressive character resume of being one of the most lethal sniper in Korea's Intelligence Unit and exceptional combat skills, you would swoon everytime this Sixth Grade NIS agent comes onto the screen. For the guys, Janice Man is the lady of your fantasy. As if that is not enough to awaken your fantasies, she is so well-versed in combat skills she can armbar the hell out of Nick Cheung in the movie. So tough, me likey. Throughout the show, I was praying so much for her not to get killed off. I was so ready to "BOO" if the director kills her off. That is how much I rooted for her character. 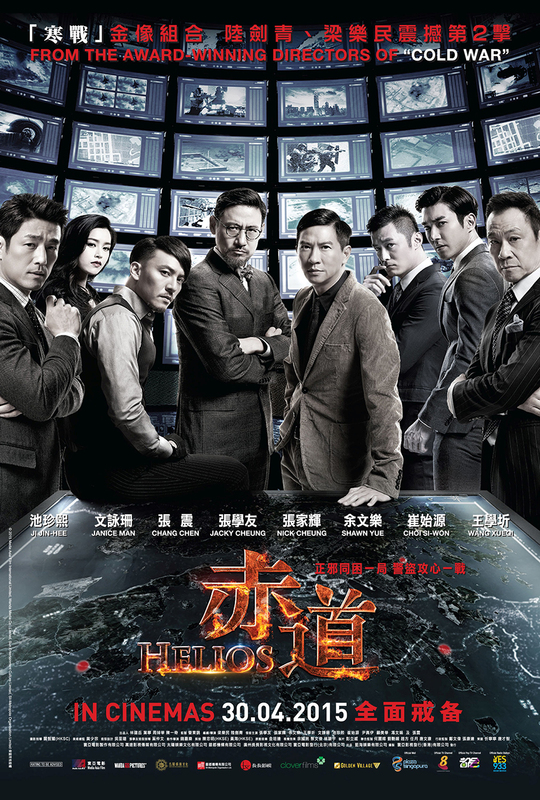 Of course, besides these 2 eye candies, the star-studded ensemble of Jacky Cheung, Nick Cheung, Shawn Yue and Wang Xueqi put on a great performance of their own characters in Helios. I especially liked Jacky Cheung in his portrayal of the concerned physics professor. There were some HongKong movie cliches - blowing up of police cars in tunnels and a car chase scene between Siwon and one of the criminal, on a relatively straight road with no cars AT ALL. However, I must commend on the excellent visual for the key item of the movie - the handheld nuclear device DC8. It looked so cool, I thought it was a scene that was ripped out from Iron Man. And we all know how sophisticated-looking the gadgets of Iron Man are. The action slows down in the middle, but that was also when the 2 major plots of the story intersect - Helios and his criminal intent + diplomatic complications between HK and Korea. 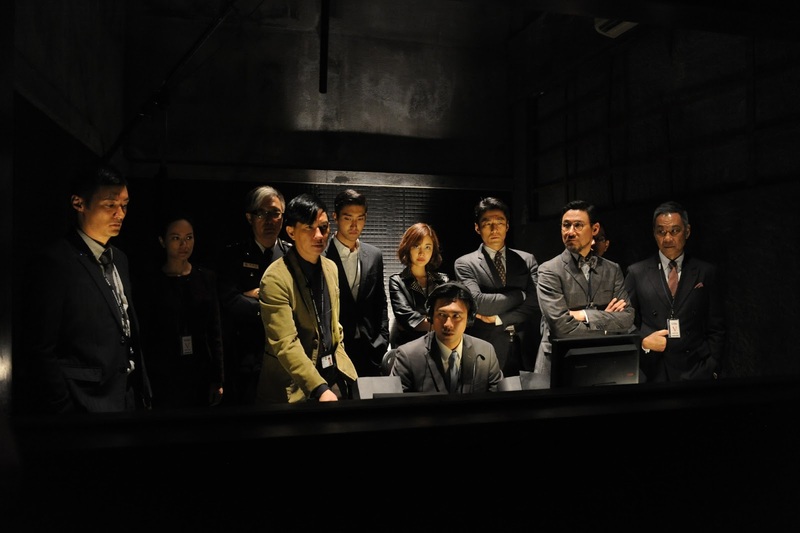 The story plot gets intense towards the last act and through directing and clever camera angles, there are a few surprises that will catch you offguard. A #3.5evilbeans movie, but +1evilbean for Janice Man! Go watch! I assure you that Helios will definitely be worth your ticket price. Stay back for: A video montage of who was playing what characters in the movie, just in case you forgot their real names. 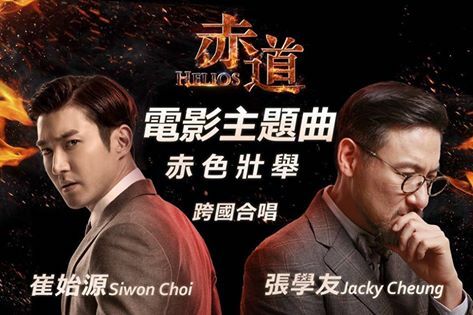 Fun fact: Choi Siwon and Jacky Cheung actually joined together for a duet for the movie OST 赤色壯舉! Take a listen! The lyrics in Mr Simple goes like this: "Mr Simple, BLOW YOUR MIND"
And thus, Siwon's brains get blown off in Helios, just like what the lyrics said. HAHAHA! I have forgotten! I do remember him getting shot a lot of times though! Launch of Heineken Extra Cold in Singapore!